Monkey loves bugs and everything that has to do with nature. When we lived in Colorado we would spend days at the Butterfly Pavilion learning about new bugs and creatures. He also loves spending time outside looking at bugs on our new property and where we are renting trying to find new bugs that he’s never seen before. The boy can’t get enough nature. Of course that encourages Goose to be involved too. He wants to see every bug that Monkey discovers and he will actually join in the search as well. 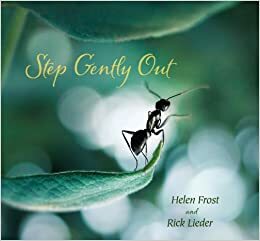 Step Gently Out by Helen Frost and Rick Lieder has breathtaking photos of bugs close up so they are easy to examine and the gentle story that goes along creates a calm about nature. This was one of my favorite books to read to the boys before bedtime because it set a very peaceful tone which is always helpful when you are putting two boys to bed in the evening. I would recommend this book to anyone that has children but especially the ones that have children that love bugs. I plan to add this to our permanent collection in the near future. I really enjoyed reading this book to the boys. I picked it from the library because I want to read books to him that inspire his imagination. This book talks about Slim’s hat saving towns with magic. It is a book that is a little long for a child that is Goose’s age but Monkey loved listening to me read and I’m trying to inspire that in Goose too. After the first time reading it Monkey was able to tell me what the book was about. You could tell that he really enjoyed it. It also teaches that you can be just a normal person and strolling through life when bad things happen to people around you. When this happens you have to choose are you going to be the person that runs away or the person that is going to stay and help. Slim was the guy that stayed and helped which I think is the best type of person we can be. 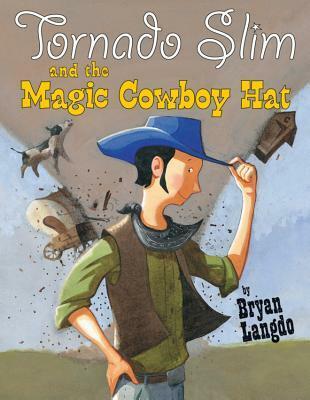 God puts us in situations that require us to make these tough choices and I love that we can read a fun book like Tornado Slim and the Magic Cowboy Hat by Bryan Langdo to help teach these type of important life lessons. What boys wouldn’t love a book about aliens and underpants? Monkey and Goose think this is the best book ever written! The best part of this book is there is a series! Aliens in Underpants Save the World, Aliens Love Underpants, and even a Christmas book called Aliens Love Panta Claus! 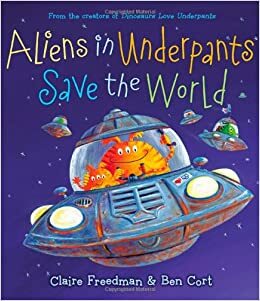 This book is all about aliens coming to Earth to steal our underpants but they end up saving our world by sewing all the underpants together to stop and meteorite from destroying our planet so we shouldn’t be upset when our underpants go missing. Definitely grab this book from your local library to read! Every week we head to the library and get new books to read at home. 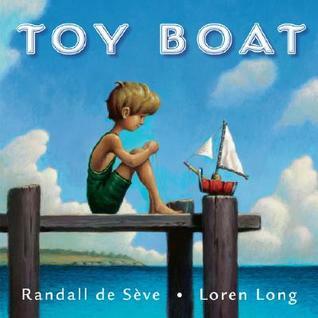 This past week I read Toy Boat by Randall de Seve and Loren Long almost every day and several times a day. It’s one of Monkey’s favorite books! It is a really cute book about a boy who makes a boat that he loves and takes everywhere. One day a storm hits and his boat gets lost on the lake. There are a bunch of mean boats that don’t want the little boat near them. Then a nice boat comes along the next morning and helps the boat get sailing in the wind right back home to the boy. Toy Boat is a very cute story and I will one day add it to our growing library at home.